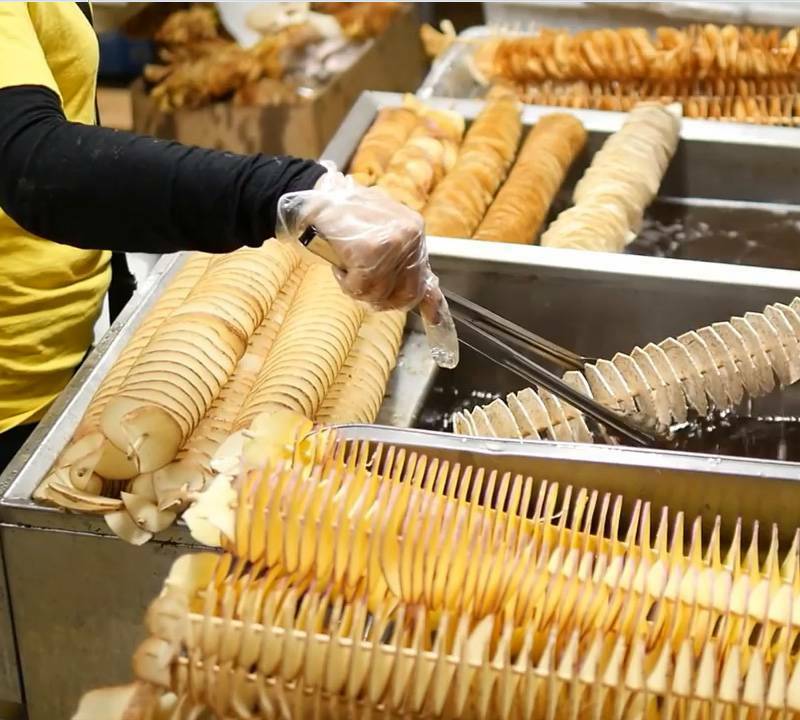 Potato Twisto is a unique street food concept which captures the real goodness of quality potatoes, thoroughly washed, unpeeled, seasoned with our original recipe and fried to perfection. Consumers who have gotten tired of the usual fast food selection often found in food courts and shopping malls will relish this one-of-a-kind menu item and will quickly become Twisto’s increasing number of patrons. Potato Twisto is an exciting concept and gives a clever twist to the humble potato. Potato Twisto is sure to be a crowd puller, it looks great, it’s a fun product that will be loved by children and adults. mark up of 800% Potato Twisto could be the ideal opportunity for you. With a low start up cost, you could be up and running in a few days. As there are no franchise agreements you are free to operate your business without any territory restrictions. So what exactly is Potato Twisto? 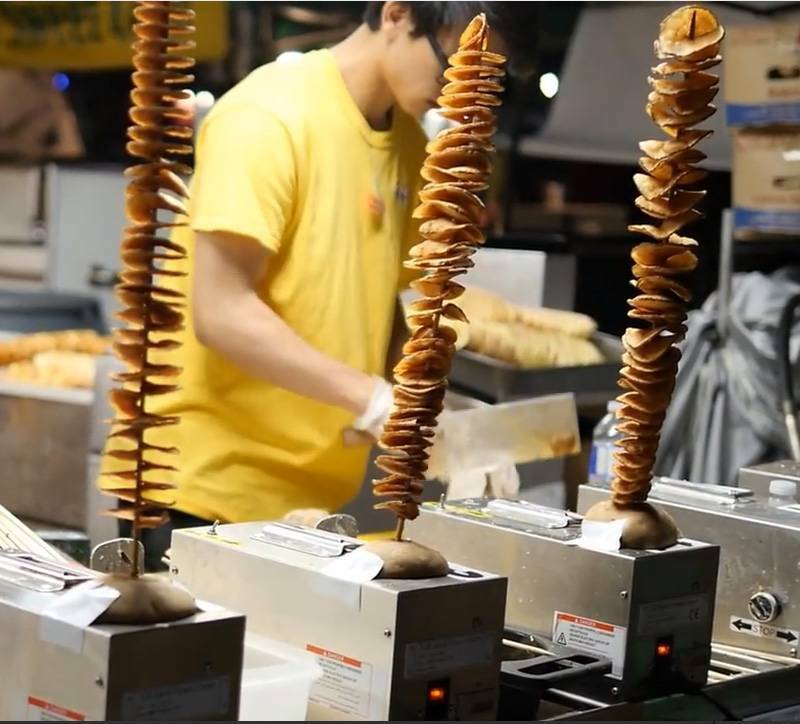 As the name suggests it is a Potato Twisto you take a whole potato, no peeling required, use one of our skewers and wind it through the machine and after a few seconds you have your Potato Twisto ready for frying. After a few minutes of frying you coat with the customers desired flavouring. Then you start the next one!